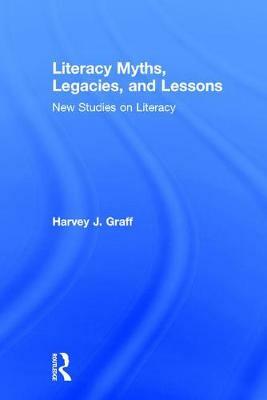 In his latest writings on the history of literacy and its importance for present understanding and future rethinking, historian Harvey J. Graff continues his critical revisions of many commonly held ideas about literacy. The book speaks to central concerns about the place of literacy in modern and late-modern culture and society, and its complicated historical foundations. Drawing on other aspects of his research, Graff places the chapters that follow in the context of current thinking and major concerns about literacy, and the development of both historical and interdisciplinary studies. Special emphasis falls upon the usefulness of "the literacy myth" as an important subject for interdisciplinary study and understanding. Critical stock-taking of the field includes reflections on Graff's own research and writings of the last three decades, and the relationships that connect interdisciplinary rethinking and the literacy myth. The collection is noteworthy for its attention to Graff's reflections on his identification of "the literacy myth" and in developing LiteracyStudies@OSU (Ohio State University) as a model for university-wide interdisciplinary programs. It also deals with ordinary concerns about literacy, or illiteracy, that are shared by academics and concerned citizens. These nontechnical essays will speak to both academic and nonacademic audiences across disciplines and cultural orientations. "Graff's examination of the ambiguous meanings and uses of literacy should be pondered by educators, policymakers, and others concerned with the issue today." "This collection of Graff's essays describes and justifies literacy in ways that consider traditional as well as newly recognized, technological views of literacy. For example, beyond commonly established definitions, Graff posits that in the Global South, competence in native languages constitutes as genuine a literacy as competence in well-established world languages. Nearly one-third of the book is devoted to restating and justifying the concept of the literacy myth--a critique of literacy as the "precursor to... economic development, democratic practice, cognitive enhancement and upward mobility..". Recommended." "Harvey Graff's own research accompanies surveys of the field and writings of the last three decades, and crosses disciplines in adding historical and cultural notes in an analysis any college-level collection will consider timely and valuable." "This is a succinct text for understanding a historical and current view of literacy studies that challenges the ongoing ideologies. Graff's recapitulation of the history of literacy studies over the past 30-plus years provides a timely segue into grappling with key issues of our own day and into the future, particularly in light of the dramatic influence of web-based technologies and of the proliferation of the term 'literacy' as applied to any disciplinary set of skills and understandings... It urges us to critically examine our assumptions and to renegotiate our understanding of what is meant by reading and writing in the face of multiple, contextualized literacies and discourses in society." "Harvey Graff is the dean of literacy scholars in America. His new book is a must-read for all those who care about literacy and learning. Once again, he teaches us how to understand what literacy is and what it does."